While selecting a new learning management system(LMS) it is important completely vet the selected solution before purchasing; with implementation being an investment of time and money, one needs to utilize both in the most optimal way to get the maximum benefit and return on investment out of the new LMS. Seeing a learning management system in action and then test driving it yourself just cannot be beaten. It is important for you to test the functionality of the features any LMS is offering. It may offer latest and greatest features but they may not always align with your business needs. Be sure to test if the LMS supports all the multimedia elements of your content and make certain the system can deliver reports needed by your organization. 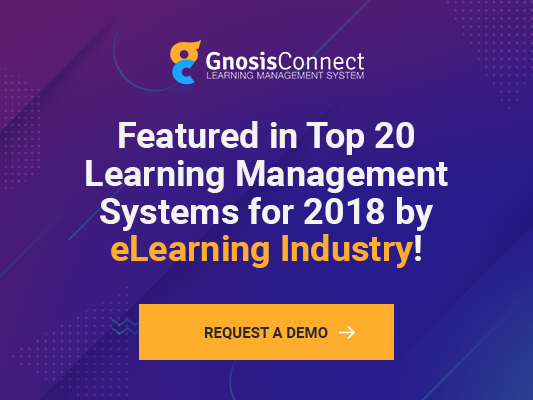 Most the learning management systems offer a wide range of features such as branding, gamification, reporting, analytics, and compatibility with the third-party tools. The availability of so many features makes it more complicated to choose your own LMS platform. It is very important to list your own required features and break them down further so that you get the LMS which exactly meets your requirements without having too many additional features which can cause confusion with your learners. Organizations assume that LMS system subscription price is the only cost involved. This is, however, untrue as there are many other costs involved. For example, implementation, customization, monthly or yearly optimization, maintenance, and support costs, etc. all these costs can add up over time. Hence, it is necessary to have a clear idea of how much a learning management system will cost initially as well as year over year. A great way to avoid unexpected cost is to reach out to vendors and ask for detailed costs including the costs that are mentioned above. Be sure that the vendor differentiates between the mandatory fees and the optional add-ons and review them to see what you truly need and what all you can do without. To choose an LMS which is not flexible and scalable is another mistake to be avoided while selecting a new learning management system. While going for the final purchase of an LMS always consider the current size of your organization along with its expected growth rate, online training needs, and technological advancements. Your new LMS should be scalable so that it can evolve with the evolution of your organizational needs, staff, and technology. The same should be considered when selecting the features in your LMS. Some features may seem unnecessary at present and may cut setting up cost but in future, your organization might need those features. One of the most critical mistakes that organizations make while selecting a new LMS is that they underestimate the importance of analytics. Although most LMS platforms provide built-in reporting tools and analytics tools, organizations avoid these features. Analytics and reporting features allow the organizational L&D department to monitor employee performance and pinpoint areas for improvement with the click of a button. Instead of avoiding these features, organizations must insist on having a detailed analytics and reporting feature installed within the new LMS to align your organizational learning goals and objectives. Before moving forward with purchasing a new learning management system for your organization be sure to conduct a thorough analysis of your current online training strategy and learning objectives, and ask yourself how the new LMS will improve the skill-sets of your current staff. Moreover, you must keep in mind all the current and future training needs of your organization.